'Tis the season for gift giving! 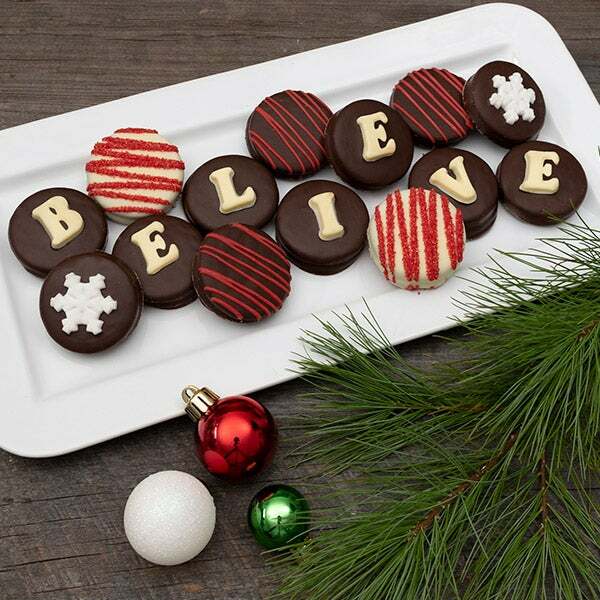 Send this delicious gift that captures the magic of the season - fourteen Oreo® cookies are dipped by hand into dark, milk and white Belgian chocolate and then decorated with red sprinkles, snowflakes and letters to spell out "Believe". Makes for the most delicious and unique holiday gift.